Android device (tablet or phone) running OS version Lollipop or later (5.0 or later). Kitkat (4.4) or earlier is not supported. 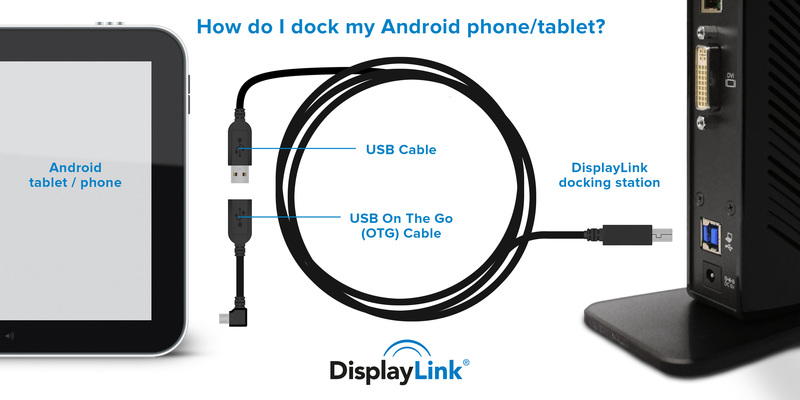 A USB OTG cable to connect the USB DisplayLink dock cable (USB Type A) to the Android device. 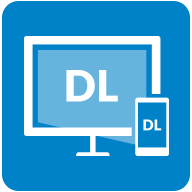 A DisplayLink device. All USB 2.0 and 3.0 devices are supported. If the device is USB bus powered, you may have to attach it to an externally powered USB hub first, as the Android device might not be able to provide enough power. A list of known issues can be found here.